Shakyra attended Brookview youth development programs and the Girls Group. 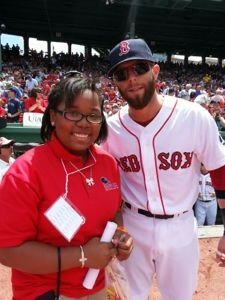 Shakyra is also a Red Sox Scholar, sings alto in her school choir and aims to be a Pediatrician. The Boston Red Sox and the Red Sox Foundation introduced the Red Sox Scholars in a pre-game ceremony at Fenway Park. 2013 was the 10thAnniversary of the program, which is presented by Beth Israel Deaconess Medical Center, the Official Hospital of the Boston Red Sox. The program provides scholarships and mentoring for academically talented, financially challenged middle school students from Boston Public Schools. UPDATE 2018: Shakyra attends college. A growing body of research supports the premise that social-emotional learning is the key to success in school and life. Damage from homelessness spreads outward, destroying lives, creating tragedies never imagined. School-age children and youth personify such a tragedy. The issue – homelessness – gets the attention, the children’s emotional needs are ignored. However, research indicates that children and homeless teens in a supportive, stable community can heal from the traumas of homelessness. Conceived in 1996, youth development programs at Brookview House have proven successful. 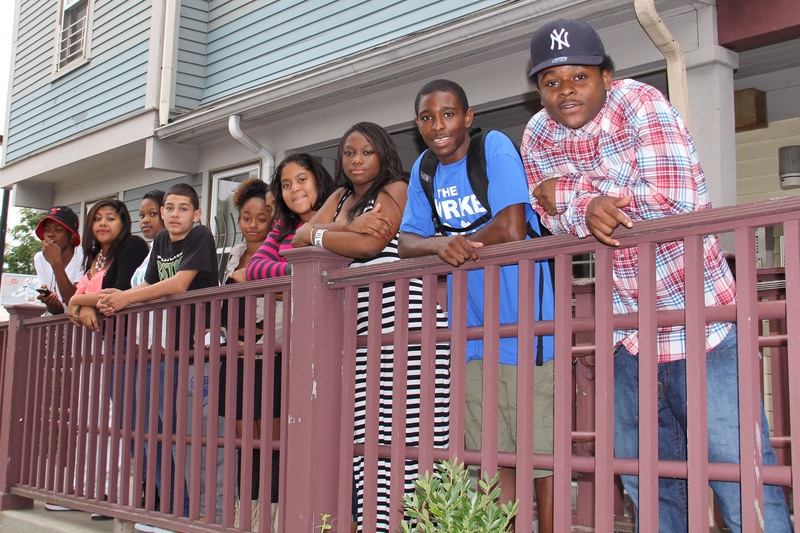 88% of our youth program participants graduate high school. 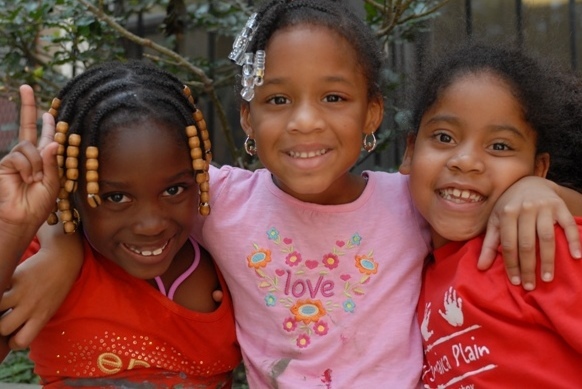 Our youth programs serve 250 per year and the goal is to help school-age children (5.9 to 19 years old) recover from the trauma of homelessness and do well in school. Our success is measured by the numbers who improve behaviors, advance to the next grade and stay in school. Studies show children experiencing homelessness are three times more likely than other children to have emotional or behavioral problems and they are twice as likely to have a learning disability. By age 12, 83% of homeless children had been exposed to at least one serious violent event. 36% will repeat a grade. 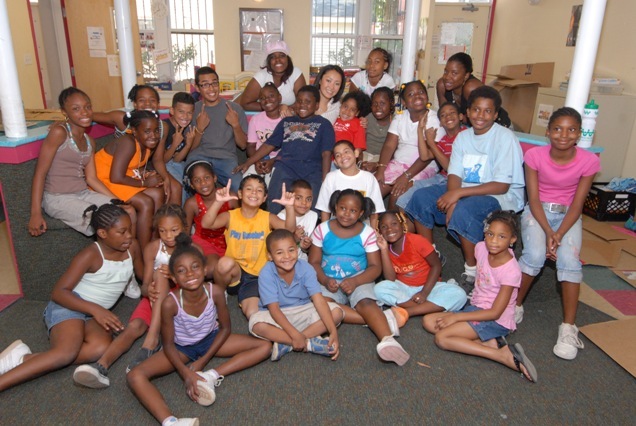 Above & Beyond (A&B) serves youth ages 5.9 to 12 at sites located in Dorchester and Roxbury. A&B prepares each child for success through individually designed academic and behavioral goals. A&B promotes leadership and positive decision-making. Youth participate in our programs year-round – five days per week after school and full days in the summer and school vacations. Full-time Coordinators are the link between the families and schools. Programming includes tutoring, academic enrichment, recreational activities, and field trips. Case management, behavioral health programs, and customized support plans are the key to success. 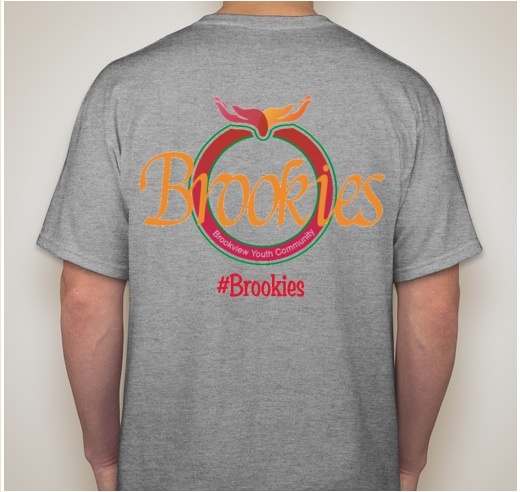 Sliding scale and vouchers accepted. 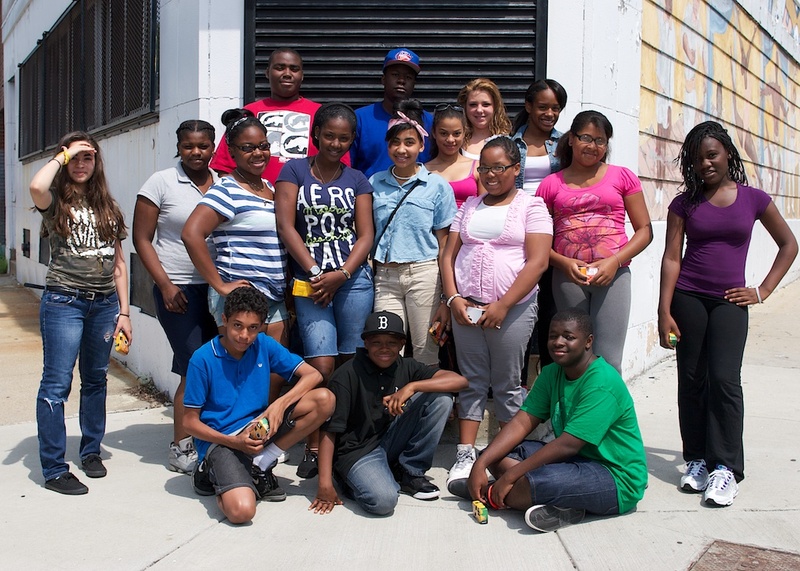 Teens in our program are resilient and motivated to change their lives and their communities. They are bright, caring enthusiastic young people who, when given the opportunity, show incredible ambition tempered with compassion that knows no bounds. They view their circumstance as temporary and are determined to persevere through a myriad of challenges. Teen Visionaries is a program that prepares youth for life and work by helping them develop a new vision for their lives. The focus is on improving academics and behavioral health. Case management links the youth and their families to schools and services. Advocacy ensures each teen receives all necessary services. The objective is to address social, emotional and cognitive factors; develop leadership and job readiness skills; and empower teens by helping them develop skills to recognize and address unhealthy behaviors and relationships. Spread the Word is a civic engagement campaign developed in collaboration with the Boston Public Health Commission to de-stigmatize and de-mystify mental health, substance abuse, and other public health issues in communities of color. Youth Councils lead the project and set the tone. Teen Visionaries is responsible for program design, outreach, recruitment, planning, developing products, training and facilitation. Teens also go door-to-door to conduct community surveys, make presentations and facilitate discussions in community centers and schools. Our Girls Group — ‘Self-Sufficient Girls 2 Self-Sufficient Women’— provides a safe space for girls to discuss issues that impact them in unique ways. The group is designed specifically for girls who studies predict, are at the highest risk of homelessness as adults. Our priority is to create avenues to raise girls’ self respect and self-esteem and reduce vulnerability to high-risk behavior. Graduate level Clinical Interns develop curricula, facilitate life skills workshops and provide individual counseling. Involve girls in positive aspects of the community. Brookview is in its fourth year of partnership with Girls Who Code (GWC) – a national initiative to close the gender gap in technology. Brookview is the first GWC club in the nation that targets girls experiencing homelessness. 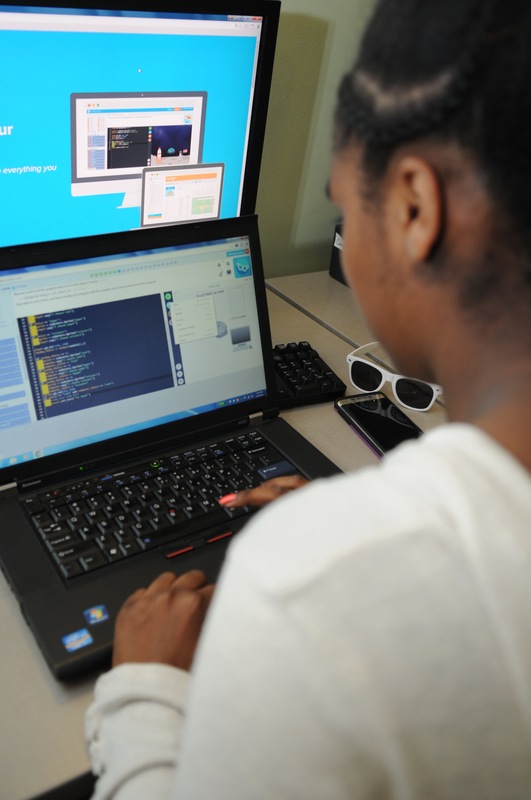 Our goal is to give these girls ages 9 – 18 the opportunity to learn and practice coding skills. 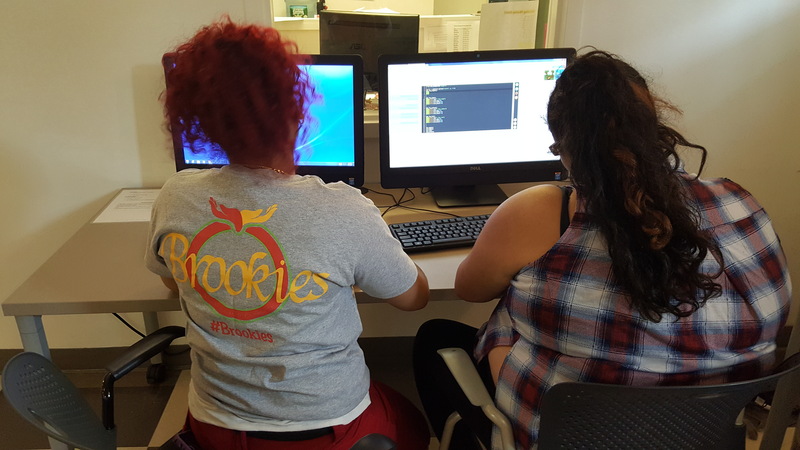 Our program which meets weekly during the school year not only teaches tangible coding skills but also responds to the social, emotional, and overall behavioral health needs of girls in the program. “It may not look like your idea of a homeless shelter. It also may not look like your idea of a classroom for computer programmers, but it’s both…” Louise Kennedy, WBUR. With help from volunteer instructors in the tech sector and most importantly the girls themselves, our Girls Who Code club is a success. During 2017, four of our girls participated in a GWC Hackathon at the National Governors Association in Rhode Island where they met Governors from around the country and Prime Minister Justin Trudeau.